I finished this quilt yesterday. Oh….how I love the Samoan Fabrics. As most of you know, I am getting ready to move, I have come across so many unfinished projects that I am truly ashamed. one taker, I will choose the lucky (unlucky) person tonight. There is the top, without a border, I have included the left over fabric and binding fabric. Next, I don’t know what I was thinking…. My sister is giving away this runner pattern free with any purchase of Indian Summer Fabric…..
but I failed to tell you how much fabric you will need if you wanted to make this. This is a pdf pattern and can be found at Patternspot.com or this week-end at my sister’s store. She has not downloaded it yet and for those of you who are not familiar with her, she always sends a hard copy for you if you order the fabric. There you have it, now I am off to the races…..have lots to do today. Hope you all have a fun filled day. You can find this pattern at Inchworm Fabrics free with any purchase of "Indian Summer" by Riley Blake. I visited Jeanette's store the other day, I was soooooooooo amazed at her prices. She is also having a 15% off for this month, and if you ask me (I know you didn't)....it just doesn't get much better than that. I did not use the Go cutter, I have had several people ask. There is also three options, the green prairie points which are on the runner (I used the quick points ruler). You can use jumbo rick rack or you can just put a 1-1/2 inch border in it's place. I know I have been putting the plug in for my sister's store lately, I hope you are not tiring of me but when she sends me fabric I just can't help myself. What I am doing with this fabric?????? My sister is now offering this pattern for free with the purchase of the Flag, Stars, and Borders and.....15% off the fabric in her store. You can certainly see how easy it is just by looking at it. You will get the pattern and a few tips, not that many of you need them. This is a 45 degree angle but most of the rulers are not long enough. I want you to see the middle of this topper. Do I have bragging rights? Will you look at those points....Just look at them.... I did it MA!!! I just knew when I started this that I would have to put a star in the middle to cover things up..... I was jumping all around the room like a Kangaroo on steroids. Believe me, it is a rare moment when the "Stars align" for me. If you want to make a topper like this with flags in all eight triangles, you will need two yards, the great thing is, you will get two toppers...One like this and one with mostly red on the bottom (like the triangle between the flags above). I hope you continue to have a wonderful week-end. Gotta love our Men and Women that work so hard to keep us free. I just have to say that it is great to be home. That last flight home has left me somewhat GREEN around the gills. I had such plans for today and well......what more can I say except "It ain't easy being Green"
Before I left for Texas I had received this wonderful Earth Bag that I won in a giveaway.. I thought of this bag a lot while gone, maybe because it was one of the last things I opened but it also made me aware of how wasteful those plastic bags are. Thanks Tammy, you can find her blog here. I truly enjoy her blog and do hope you go and pay a visit. Confession time here:......I have been so horribly bad about reading blogs, I hit or miss. I keep saying I will try to do better, so I am sorry if I have not been in a while. I will say that I do try to visit the blogs of those that comment and sometimes I fail in that department as well. from Carli at "Good Earth Quilting", what wonderful scraps to do some crazy quilting with. 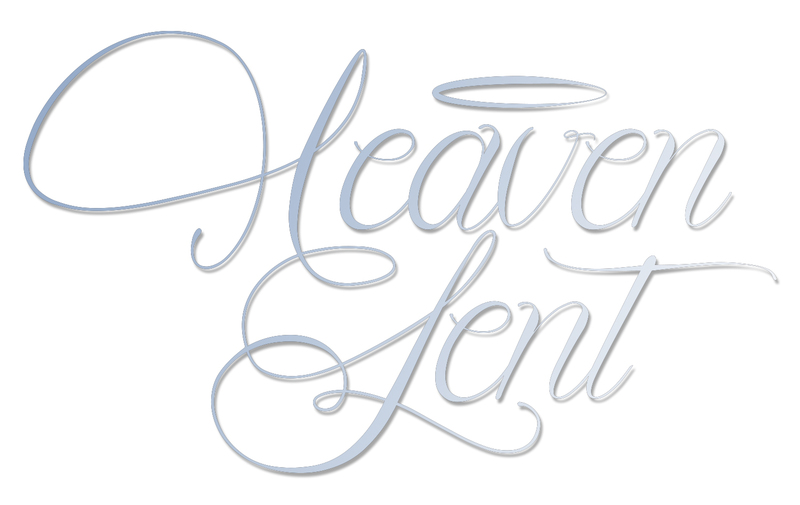 Thanks Carli and once again, wonderful blog to go and visit. My sister Jeanette (Inchworm Fabrics) sent these to me right before I left for Texas as well. Rest assured that they recieved a lot of petting and loves before I left. Now that I am back...more petting and more lovin going on over here. I hope you all have a wonderful Memorial Day Week-end. It was wonderful when the airlines would let the soldiers go first on the plan. Many thanks go to our men and women everywhere. BE SAFE AND GOD BLESS!!! Have you noticed how time flies.....I wish it would just stop for a minute and let me catch up with it. Here is another Reindeer. In case you didn't read my last post, I am giving away one yard of fabric for those that post on flickr, and one yard for those that post a button on their blog, so you don't have to be doing the games to post. But...there will be only one winner....so if you do one, only one yard, if you do two...yep..two yards. I might be offering a third yard, we will see....let me get home. You can find the pdf for Dancer here. I used google doc for this reindeer so it might be easier for you to download. There is a one inch square for you to gauge your pattern by, may need to adjust accordingly. If you can not download, just let me know. Remember you can find the embroidery here at Caroll's. If you have downloaded my patterns, you may have noticed that included is the outline of each reindeer which you can use for a pattern to do embroidery by as well. Also, Caroll may be showing the same one or a different one, there are eleven all together and I only have nine..... My nine will be applique and hers are embroidered. to get past reindeers just look above in the pages. As you are reading this I am flying the friendly skies, can't wait to get home. 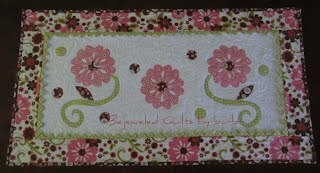 Will have about a week to get things ready for the movers, so it is a busy time here at Bejeweled. REINDEER GAMES - Giveaway....DO YOU FEEL LUCKY? This is just a small reminder about the "Reindeer Games" tomorrow....so stay tuned. Today, I am offering a yard of this fabulous fabric donated by Inchworm Fabrics. You put your picture of your reindeer square on flickr, you will get one yard. You put our button on your blog, you will get one yard. There will be one winner, therefore, if you have done both and win, you will get both yards, if you only do one, well..you will get only one yard. I am not sure how many yards I have so maybe I will offer another yard just for a comment....(can't comment on this one yet...let me get home and see) so for right now. One yard for showing a picture and one yard for the button. If you already have our button on display....just let me know in your comment. So are you ready for another REINDEER????? I finished this reindeer the night before I left....uploaded on flickr and I invite all of you when you finish your reindeers to upload as well. Now to show you what is in my wallet. My husband's eyes bugged out when he saw all of these pouches,bags...and I didn't show you the two cosmetic bags in the bathroom right now. He just laughed...but I laughed at all of his electric cords in his suitcase. At least my stuff in organized in one compartment. A pouch for my jewelry, kindle cord and camera cords, bag for medicine (gotta have headache medicine), bag for embroidery, computer cords etc....the list goes on. Now to give my husband credit, he is so organized and all of his things are wrapped nicely with rubber bands around them (so much better than what I would have done...the cords and wires would have free range with me and get tangled up). Oh...that pink bag is my camera battery charger (yes...I did finally find it the day before we left)...sheweee how I looked for that. I kept thinking if I could only remember what color bag it was in. Now I know and it is documented. What do you see below? I am trying to support my friend Caroll in her embroidery reindeer games. I sit here wanting my machine so badly....but keeping my hands busy doing this is therapy for now. What you see below is some awesome Batiks fat quarters, eight of them. I got them at JoAnn's for five bucks. Oh yes....the package had been damaged. When I saw the price my eyes bugged out, I looked around like I was stealing .... snatched up the bag of fat quarters and ran to the counter...didn't want anyone to change their minds .... I also got the 2" Go cutter strip die for 19.00, I purchased it for a friend. What was I thinking? I didn't buy me one...I went back a few days later and it was regular price.....I felt my boot on my bootie for not getting one earlier. The weather in San Antonio is totally wonderful....it feels like home. This is a new pattern of mine inspired by a cake Paula Deen made. I loved it so much that I made my own version. Yes, it is a little wild but aren't Court Jester's suppose to be wild? A big thanks goes to my mother and Beverly for the border fabric, it matched up just perfectly and the majority of the fabrics I purchased at Inchworm Fabrics. You can find the pattern here and soon at Inchworm Fabrics. I decided to embroidery the reindeer while I am away for ten days. It should be fun to play along with everyone else. If you will notice the new Page I added at the top, REINDEER GAMES. You will be able to go there and find what you need instead of having to scroll through my blog for any information. I also downloaded the patterns to google doc for those of you that have had trouble downloading the pdf. You will be able to get the link in that page as well, along with Caroll's information. Thanks so much for joining us and stay tuned next week for the 2nd reindeer. I will visit you in my travels. LET THE REINDEER GAMES BEGIN!!!! Most of us grew up with this "Night Before Christmas", as a child all kinds of things filled my head. Now it is time to fill a quilt top with our favorite reindeer. We have included Rudolph because didn't he save the day? Here is the first of my nine Reindeer, DASHER!! you can find the template here. Today I am including the names that you can use or not use? You can switch the names around? It is your party and you can do what you want!!!! you can find them here If you do not have facebook, I will be happy to forward an attachment to you so you can play along as well. Caroll may show the same reindeer as I am, she may not. All we can promise you is that there are 11 reindeer in all and you have the option to use all eleven or just nine. We all know that Santa had eight reindeer and Rudolph. You can follow my design or not....that is the beauty of all of this, it is a " WHAT EVER" kind of deal. I do have a post ready but blogger will not let me post it...funny, yesterday I could not do a new post, today I can and today I can not post a saved post. Some of you already know this but at the risk of repeating myself, I am at my niece's babysitting her four kids (under the age of eight). My niece's one friend took care of them the first week and now it is my turn while my niece and her husband vacation in Italy. I wanted to show you the plans I had for my time here, in my free time, spare time, my sewing time (those of you with kids....no laughing). Some of you may remember this quilt from Samoa? I am blanket stitching around the flowers, I was hoping to finish this while here. Valentine Calendar wall hanging to blanket stitch around. I did chose things that were easy....but guess what...?? My niece's friend laughed when I showed her all the things I had planned to get done. I could have saved myself a lot of prep time before I came. My niece has stairs. I climbed those stairs so much yesterday that my calves hurt. When it came to bedtime, I read to them, let two stay up and read. Her son came to me and said, can you come and tuck me in. Those stairs looked like mountains by that time. So....I sucked in the "No..can you just go to bed" and climbed them. Then the last one to go to bed.....oh my gosh....must I really climb those stairs... I did. My eyes flew open at five this morning. I ain't no spring chicken but it looks like I am crowing when the sun comes up. Will be crowing tomorrow with the Reindeer Games quilt, so please join us then. Labels: Calendar wall hangings. Blanket stitch, moon purse. REINDEER GAMES COMING SOON !!! 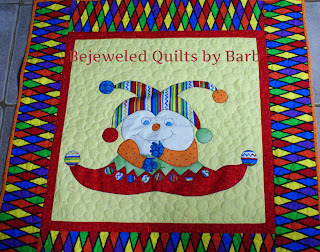 Be sure to check Caroll's blog out today as well and see what her quilt looks like. If you do not like applique, she has embroidery. What fun is this? May 11th we will give you our first block, then every two weeks be expecting another one. There are nine reindeer but we will be giving you 11 to choose from. I have names above mine, if I am correct, Caroll does not. Caroll has also done hers in embroidery. We have been planning this since November...can you believe it has taken us that long? Sheweee!!! So...grab my button, grab Caroll's and enjoy. So who wants to join in our reindeer games......??? I wanted to show you the scarves I made Saturday. My husband picked out the darker fabric. It took more time to thread the serger than it did to make the scarves. I also put bindings on three items. I finished up the November Calendar wall hanging that was shown on a previous post. Finished my reindeer quilt, you will see tomorrow and put the binding on a baby quilt that will be shown at a later date. My sewing room is clean. DOES ANYONE KNOW WHERE MY BATTERY CHARGER FOR MY CAMERA IS????? Today I get to tell you who made my blogger header and background.... are you ready? I am sure some of you already know, if you have been over to sew cals, then you have seen what she has done with this new software "MyMemories Tutorial to Create Blog Headers". She is also have a giveaway of this same software. She wanted an experimental blog and well.....I was her guinea pig...whohoooo, am I a luck gal or what? I so enjoy my new header and background, Sew cal did an amazing job. I am almost certain that most of you are familiar with her and her wonderful insightful blog but if not, you certainly have been missing out. I have decided to just grin and bear this new blogger, was told that we were going to lose our old blogger anyways....is causing me some frustration but I am sure once I get use to it, all will be well. You know us old dogs, it is hard to teach us new tricks. Husband is home today and once again, he wants to go running around. ...this old dog is tired...... so he says....we can make a trip to JoAnn's...I am laughing because he just wants me in the car with him. I will let you know later if it worked! Will be gone for the next three weeks (I can tell you that because someone will be in this home, be it my husband or son)....but will be posting for the Reindeer Games. see my side bar button. Caroll has been in and out, I will be in and out...we discussed postponing the games but hey...if you all are willing to work with our comings and going and any mishaps...then we are willing to continue on...I believe we will begin May 11th. 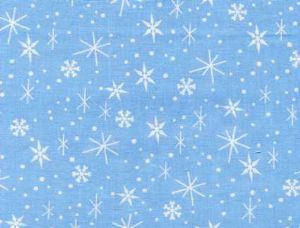 Get your background fabric ready, your scraps of browns and a few Christmas scraps (remember Inchworm fabrics has some cute Christmas snowflake fabric). Shameless plug for my sister. I will let you in on a little secret, my blocks are 12 1/2 and you need nine of them. Just so you know. .I was busy running around with my husband until the last minute, so I ended up getting French Bricquets at Penara Breads. What was a gal to do? The food was great but the little gifts were just awesome. The hostess made these cute jewelry bags. Adorable huh??? Another friend made these...isn't it adorable???? Just found out that my one son in Hawaii has a job prospect here in DC after he graduates in Dec. Now ask me if I am excited to move to Texas?